Global Business Intelligence (BI) and analytics software vendor, Yellowfin, has been named in Database Trends and Applications (DBTA) magazine’s 2015 list of Trend-Setting Products in Data and Information Management. Products were selected for inclusion on the 2015 list by DBTA editorial staff – and as a result of research conducted by DBTA’s market research arm Unisphere Research Group – based on product uniqueness, marketplace influence and importance to the field of data and information management. DBTA Managing Editor, Joyce Wells, said that Yellowfin was included in DBTA’s list of trend setting products to watch in 2015 due to innovations included in the latest release of its analytics platform Yellowfin 7.1, which was released in September 2014. “Yellowfin 7.1, the new release of Yellowfin’s analytics platform, delivered enhancements focused on boosting Location Intelligence capabilities, improving CSV support and increasing the number of data visualizations supported by its Auto Chart functionality,” said Wells. Yellowfin CEO, Glen Rabie, said that Yellowfin’s inclusion in DBTA’s 2015 list of Trend-Setting Products in Data and Information Management was reflective of the vendor’s dedication towards meeting market demand for consumer-oriented reporting and analytics. Wells supported Rabie’s point of view, stating that: “Data is increasingly being recognized as a rich resource flowing through organizations from a continually growing range of data sources. But to realize its full potential, this data must be accessed by an array of users to support both real-time decision-making and historical analysis”. 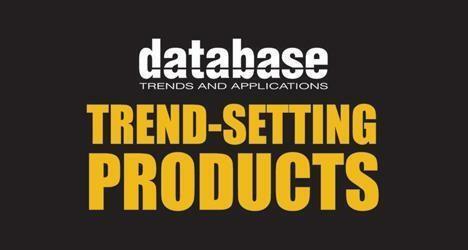 Last year, Yellowfin was also recognized in DBTA’s Trend-Setting products in Data list for 2014. Database Trends and Applications (DBTA) is a magazine and website (dbta.com) covering data and information management, big data, and data science. DBTA delivers advanced trends analysis and case studies serving the IT and business stakeholders of complex data environments.